It’s hard to be mad at Michael Cohen. If you were going to jail for holding water for a President who gets his daily briefings in picture book form, you’d try to delay your bid, too. 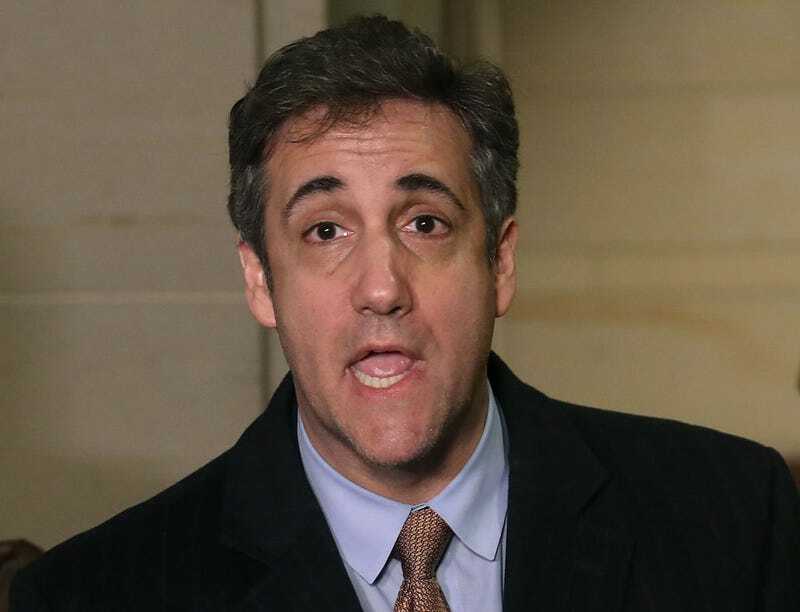 Thursday, Cohen’s attorney sent a memo to top congressional Democrats detailing what Cohen told Robert Mueller’s team. According to CNBC, the letter comes a month before Cohen’s three-year prison bid. From there, the memo proceeds to remind Democratic leaders of Cohen’s many good deeds since turning on his former employer last year. Cohen testified “at at least six government entities,” admitted to facilitating Sotrmy Daniels’ hush money, plead guilty to lying to congress about Trump’s efforts to build a Trump Tower in Moscow, and told authorities everything he knows about Trump’s potential criminal conspiracy with Russia to win the 2016 Presidential election. He was only just recently able to locate the hard drive, according to his attorney. For context, I decided to run down my own personal file output. For context, I am a part time law student, working in corporate communications, while trying to buy a home within the coming months. I’ve had my laptop for bordering on two years, and an active iCloud account for 5 years now. The letter insisted “it will take time, effort and ready accessibility to members of Congress and their staffs to assist in providing the relevant documents,” while failing to specify how many files had already been turned over to prosecutors, Congress, or other entities. Regardless of the contents of Cohen’s hard drive, you can’t knock the man’s hustle. If I were in his shoes, and Trump had ever been anywhere near Freaknik, this would be the time they’d pop up in a Twitter thread.